Below you fill find all funeral homes and cemeteries in or near Zeeland. Zeeland is also known as: Ottawa County / Zeeland city. Their current mayor is Mayor Kevin Klynstra. Zip codes in the city: 49464. Some of the notable people born here have been: Zach Bangma (production designer and film art director), Bill Huizenga (politician), and Kaci Brown (singer). 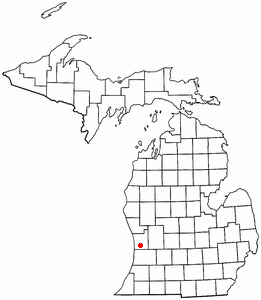 Zeeland (/ˈziːlɨnd/ ZEE-lənd) is a city in Ottawa County in the U.S. state of Michigan. The population was 5,504 at the 2010 census. The city is located at the western edge of Zeeland Charter Township which is politically independent. Its name is derived from the Dutch province of Zeeland. It was disclosed on November 15th, 2018 that Anne Reisig (Depree) died in Oregon, Wisconsin. Ms. Reisig was 81 years old and was born in Zeeland, MI. Send flowers to express your sorrow and honor Anne's life. It was written by The Daily Tribune on October 18th, 2018 that Paul Dallas Graves died in Zeeland, Michigan. Graves was 78 years old and was born in Central City, KY. Send flowers to share your condolences and honor Paul Dallas's life. It was disclosed on March 16th, 2018 that Maggie Snow (Kirkpatrick) passed on in Zeeland, Michigan. Ms. Snow was 91 years old and was born in Walnut Ridge, AR. Send flowers to share your condolences and honor Maggie's life. It was written on January 18th, 2017 that Charles Lee "Chuck" Terpstra died in Zeeland, Michigan. Terpstra was 75 years old. Send flowers to express your sympathy and honor Charles Lee "Chuck"'s life. It was noted by Kalamazoo Gazette on July 21st, 2016 that Dirk H Elferink perished in Zeeland, Michigan. Elferink was 95 years old. Send flowers to share your condolences and honor Dirk H's life. It was reported by Kalamazoo Gazette on July 21st, 2016 that Dirk H Elferink passed on in Zeeland, Michigan. Elferink was 95 years old. Send flowers to express your sorrow and honor Dirk H's life. It was noted on January 5th, 2016 that Dennis Drennan perished in Zeeland, Michigan. Drennan was 70 years old. Send flowers to express your sorrow and honor Dennis's life. It was revealed by Kalamazoo Gazette on October 15th, 2015 that Marcia A Vanorman passed on in Zeeland, Michigan. Vanorman was 74 years old. Send flowers to express your sympathy and honor Marcia A's life. It was written by Chino Champion on August 15th, 2015 that Jerry Scholten passed away in California. Scholten was 76 years old and was born in Zeeland, MI. Send flowers to express your sympathy and honor Jerry's life. It was noted by Register Guard on July 1st, 2015 that Mary Beth Russo (Wierda) died in Junction City, Oregon. Ms. Russo was 73 years old and was born in Zeeland, MI. Send flowers to express your sympathy and honor Mary Beth's life. The community was named after a province of the Netherlands. Close to twenty-five years later, Zeeland had already acquired a sawmill, a wagon factory, blacksmith shops, grocery stores, and a post office. He arranged for three ships to make their way to Holland, Michigan. The total number of immigrants who embarked on this journey was 457.The first building to be assembled was a church. The city is located at the western edge of Zeeland Charter Township, Michigan Charter Township which is politically independent. The official website for the city of Zeeland is http://www.ci.zeeland.mi.us/. Listing all funeral homes in Zeeland, Michigan so you can easily send flowers to any location (same day delivery) or find any funeral service. We work with local florists and flower shops to offer same day delivery. You will find budget sympathy flowers in Zeeland here. Our funeral flowers are cheap in price but not in value.